Take any historical or contemporary public figure and ask yourself not necessarily what they would say, but how would they move? 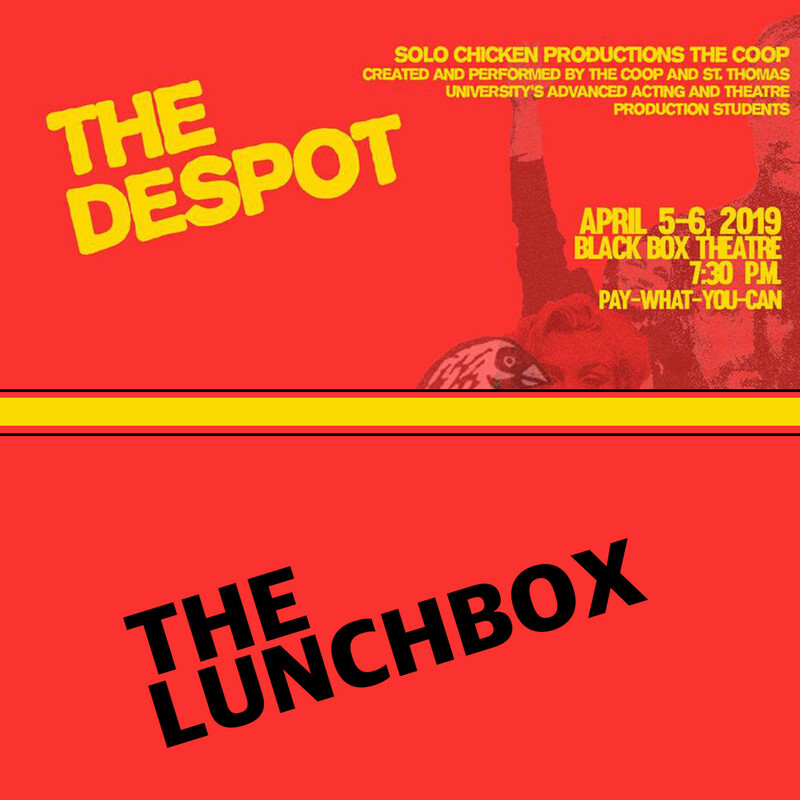 My guests today are Lesandra Dodson (Solo Chicken Productions) and Sydney Hallet (actor) who have been working with numerous students at STU to create a new physical production called The Despot. They join me to talk about the initial creation of this unique interpretation of public figures, and how it has evolved from a wild idea to something that fits on a stage. 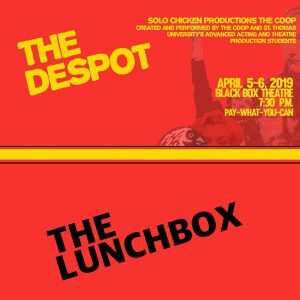 The Despot runs just two nights, on April 5 and 6 at 7:30pm, staged at the Black Box Theatre at STU. « STU Lunchbox: Truth or Trump?